Critical Uncertainty ➚➚➚ Disruption of the current AI-power race for private and public actors alike – The U.S. takes a very serious lead in the race. ➚➚ Escalating AI-power race notably between the U.S. and China. Featured Image: Mike MacKenzie on Flickr – Image via www.vpnsrus.com – (CC BY 2.0). 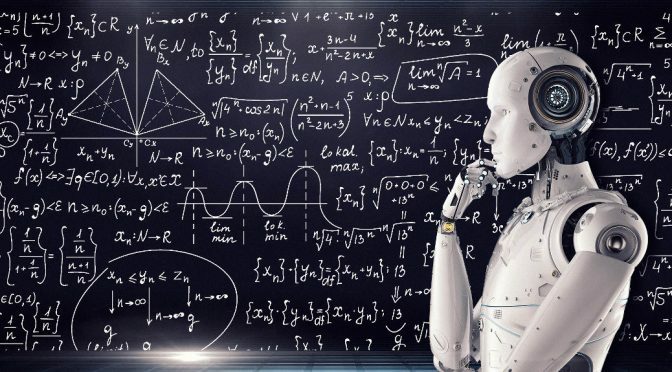 On 7 September 2018, the U.S. Defense Advanced Research Projects Agency (DARPA) of the Department of Defense (DoD) launched a multi-year investment of more than $2 billion in new and existing programs to favour and let emerge “the third wave” of Artificial Intelligence (AI). According to DARPA, this next generation AI should notably improve and focus upon “contextual adaptation,” i.e. “machines that understand and reason in context”. The goal is to enable the creation of machines that “function more as colleagues than as tools” and thus to allow for “partner[ing] with machines”. As a result, the DARPA wants to create “powerful capabilities for the DoD”, i.e. The last point is highly likely to include notably the famously feared Lethal Autonomous Weapon Systems (LAWS) aka killer robots. Even though the USD 2 billion announcement includes existing programs, DARPA’s new campaign indicates the importance of AI for the American Defence. The U.S. shows here again its willingness to remain at the top of the race for AI-power, by breaking new ground in terms of “algorithms” as well as “needs and usage”, to use our five drivers and stakes’ terminology. It also thereby adopts a distinctively disruptive strategy as it intends to go beyond the current Deep Learning wave. Disruption would impact both public and private actors, states and companies alike. In terms of power struggle, we may also see the launch of the DARPA campaign as an answer to the call by Alphabet (Google), Tesla and 116 international experts to ban autonomous weapons. With such an amount of funding available, it is likely that more than one expert and laboratory will see their initial reluctance circumvented. Should the U.S. succeed, then it would take a very serious lead in the current race for AI power, notably with China, as it would deeply shape the very path on which the race takes place. Over its 60-year history, DARPA has played a leading role in the creation and advancement of artificial intelligence (AI) technologies that have produced game-changing capabilities for the Department of Defense. Starting in the 1960s, DARPA research shaped the first wave of AI technologies, which focused on handcrafted knowledge, or rule-based systems capable of narrowly defined tasks. Some of the world’s leading robotics and artificial intelligence pioneers are calling on the United Nations to ban the development and use of killer robots. Tesla’s Elon Musk and Alphabet’s Mustafa Suleyman are leading a group of 116 specialists from across 26 countries who are calling for the ban on autonomous weapons. Posted byDr Helene Lavoix (MSc PhD Lond) September 10, 2018 Posted inAmericas, Artificial Intelligence - Foreseeing the Future AI-powered World, China, Horizon Scanning BoardTags: AI, algorithm, artificial intelligence, China, drivers, featured, killer robot, LAWS, Open Access, Signal, U.S.